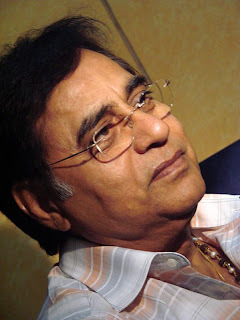 Famous ghazal singer Jagjit Singh's health condition is still critical.He was admitted in the Lilavati Hospital and underwent surgery on Friday. "Jagjit Singh's condition continues to remain critical," Hospital authority said on Saturday afternoon. The 71-year-old Singh is currently in the ICU after undergoing emergency surgery for brain haemorrhage Friday evening. Known as 'Ghazal King' of India, Jagjit Singh, and his wife Chitra are considered the pioneers of modern ghazal singing in the country. Singh has been suffering from high blood pressure since the past few years. Legendary cricketer and former Indian captain Mansur Ali Khan Pataudi, who was also known as Tiger Pataudi passed away on Thursday at Sir Ganga Ram Hospital, New Delhi. The condition of former Indian cricket captain Mansoor Ali Khan Pataudi who was suffering from lung infection further deteriorated and he died on Thursday, a hospital bulletin said. The 70-year-old cricketer, led India in 40 of the 46 Tests he played and would forever be remembered for leading the country to its first Test series win abroad. 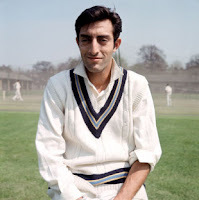 Son of Iftikhar Ali Khan Pataudi, the last ruling Nawab of Bhopal who captained the country in 1946, the right-handed batsman made his debut for India at the age of 21 in a drawn match against England in 1961. Just a few months before his debut, Pataudi had damaged his vision in a car accident but Pataudi still managed to impress with an 103-run knock in the fifth Test of that series. 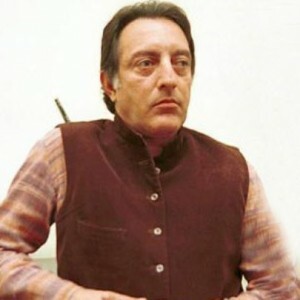 Pataudi is survived by wife Sharmila Tagore and three children. Paoli Dam - The Bold and Beautiful Bengali actress is now a famous name in Bengali film industry. She started her carrier in 2003 as TV star in Bengali TV serials. And within no time she has been recognized as a good looking and talented artist in the industry.Paoli came into prominence with her 2009 Bengali film 'Kaalbela' directed by Gautam Ghose. Paoli Dam has already proved that she can act and she dares to show. The Bengali beauty dazzled on the Cannes red carpet in May with her Bengali film 'Chhatrak' which was the only Indian feature entry at the festival in the Directors' Fortnight category. The 31-year-old actress Paoli Dam is all set to star in her first Bollywood film to be produced by Vikram Bhatt. The 31-year-old actress, who came into prominence with her 2009 Bengali film 'Kaalbela' directed by Gautam Ghose, will star in 'Hate Story' to be produced by Bhatt's company. "Met Paoli Dam, a very accomplished actress from Bengal. Stunning! She will star in 'Hate Story' produced by my company ASA," Bhatt tweeted. Paoli is the first actress from Tollywood to be linked with Bhatt's production house. Celebrated Indian artist M F Husain, who earned both fame and wrath for his paintings, died in London on Thursday after being unwell for over a month.He was 95. Popularly known as MF and regarded as "Picasso of India", the artist breathed his last at the Royal Brompton Hospital at 2.30 am local time. Born in Pandharpur in Maharashtra on 17th September 1915, Husain courted controversy over his paintings of Hindu goddesses. His paintings on goddesses Durga and Saraswati invited the wrath of Hindu groups which attacked his house in 1998 and vandalised his art works. 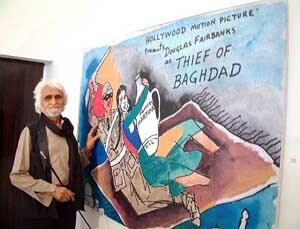 In February 2006, Husain was charged with hurting sentiments of people because of his paintings. Three of Husain paintings recently topped a Bonham's auction in London, going under the hammer for Rs 2.32 crore with an untitled oil work in which the legendary artist combined his iconic subject matters -- horse and woman -- fetching Rs 1.23 crore alone. Prime Minister Manmohan Singh has condoled the death of celebrated Indian artist M F Husain in London, terming it as a "national loss". 58th National Awards for 2010 is announced and Best actor award is shared between Malayalam actor Salim Kumar and Tamil actor Dhanush. 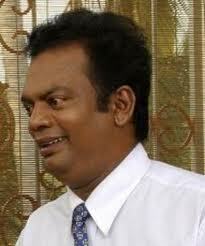 Salim Kumar won the title for his performance in the movie Adaminte Makan Abu. Dhanush won the best actor award for his performance in the movie Aadukalam. The director of this movie, Vetrimaran, won the title of the best director. Dabbang is selected as the best entertainer and Sabu Cyril is the best art director for the movie enthiran (Robot). Dhanush movie scored many awards like the best movie, best camera man, best back ground music, etc. Salim Kumar handles normally comic roles but manages to some serious roles in between and won many awards like Kerala State Film Award, Sathyan Award, etc. 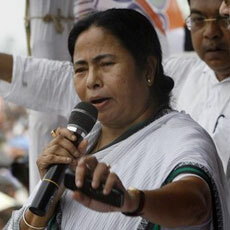 Mamata Banerjee stormed the Red bastion terminating the Left Front's 34-year stranglehold on West Benga. Trinamool Congress has won 224 seats and was leading in 1 seat, while Congress bagged 42. On the rival side, the CPI(M), which headed the Left Front, has won 63 seats. Mamata Banerjee, the founder and chairperson of the party and is the current Railway Minister of the Republic of India born 5 January 1955).She is noted as a firebrand orator popularly known as "Didi" – the elder sister to all her followers in West Bengal. Her orator was all about connecting with ordinary people with ordinary dreams. She is noted for her opposition to Special Economic Zones and forceful land acquisition for industrialization in West Bengal at the cost of agriculturalists and farmers. Mamata Banerjee was born to Promileswar and Gayatri Banerjee on 5 January 1955, in Calcutta (now Kolkata), West Bengal, India. She grew up from a lower middle-class family and then started her political career with the Congress. Throughout her political life she maintained an austere lifestyle and never spent money on clothes, cosmetics and jewellery and slung a cotton bag on her shoulder. She graduated with an honours degree in history from the Jogamaya Devi College, an undergraduate women's college in southern Kolkata. Later she earned a master's degree in Islamic History from the University of Calcutta. This was followed by a degree in education from the Shri Shikshayatan College. Later, she earned a law degree from the Jogesh Chandra Chaudhuri Law College, Kolkata. was born to Promileswar and Gayatri Banerjee on 5 January 1955, in Calcutta (now Kolkata), West Bengal, India. She grew up from a lower middle-class family and then started her political career with the Congress. She graduated with an honours degree in history from the Jogamaya Devi College, an undergraduate women's college in southern Kolkata. Later she earned a master's degree in Islamic History from the University of Calcutta. This was followed by a degree in education from the Shri Shikshayatan College. Later, she earned a law degree from the Jogesh Chandra Chaudhuri Law College, Kolkata. "Rajinikanth dead" was one of the top Twitter trends Friday afternoon, all because of a false rumour circulating about superstar's death. Rajinikanth, Rajinikanth dead, Rajinikanth death, Rajinikanth health, Rajinikanth latest news, were alsothe top most searched keywords on Google India. Although later, Dismissing reports about his deteriorating health as rumours, the family of superstar Rajnikanth today said he was fine and had to take some rest following his recent hospitalisation. Online reports suggested that the 60-year-old actor, who was hospitalised recently with allergic bronchitis and viral infection, was in critical condition. Recently, Rajnikanth was admitted to a private hospital for allergic bronchitis and viral fever, just a week after he was admitted in the same hospital for exhaustion.